Healthy hooves are essential for every horse's foundation. 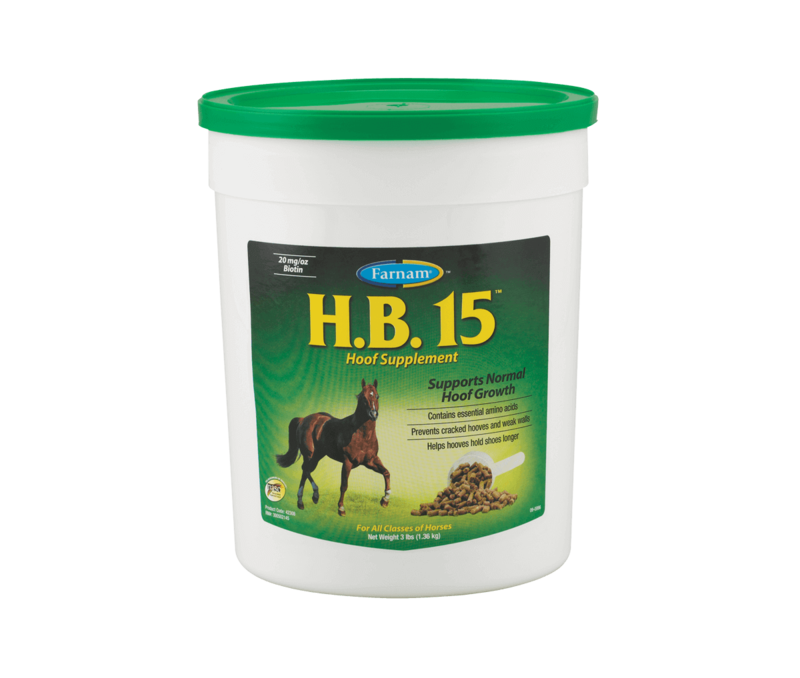 Maintain proper hoof heath with H.B. 15 Hoof Supplement. Supports normal hoof growth, as well as prevents cracked hooves and weak walls. Contains 20 mg of biotin per oz. Sprinkle the proper amount over feed or mix with the grain ration. Close container after each use. Store in cool, dry place.